Nike Nike Zoom LeBron 3 SB "SuperBron"
Dropping for the first time ever, the Nike Zoom LeBron 3 SB "SuperBron" adds red patent leather overlays surrounding the white-based upper. Additional details include blue and yellow accents on the sockliner, the Swoosh branding, and tooling. Release date is Feb. 2, 2019 at a retail price of $175. 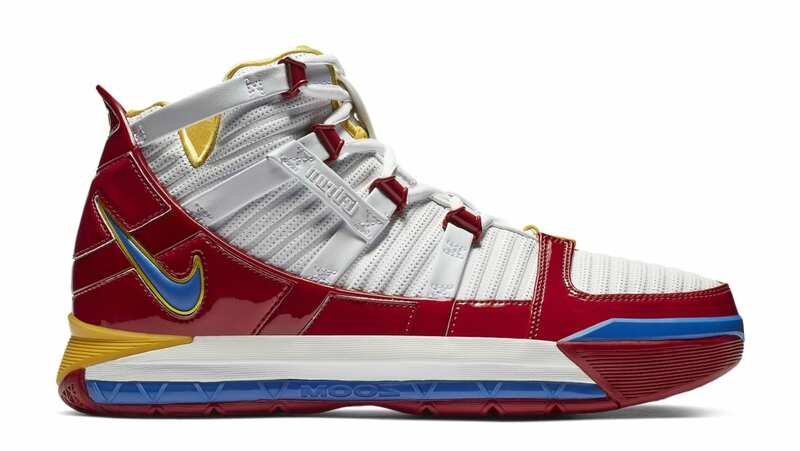 News Nike Zoom LeBron 3 SB "SuperBron"